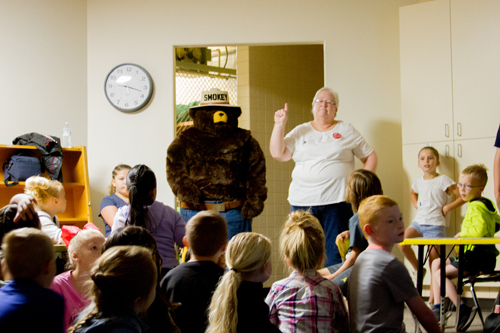 Smokey the Bear visited Woodland Primary School along with Amanda Dales, School Instructor for the USDA Forest Service, to teach students the importance of fire safety and how to prevent forest fires. 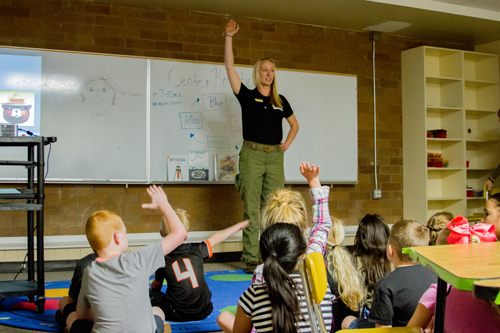 Smokey and Amanda also taught the students how to put out forest fires, the importance of taking everything with you when you leave a forest, and what to do if you come across a forest fire. First, drown the campfire using a full bucket of water. Second, stir the ashes using a shovel or a stick. Third, have an adult feel for heat from the ashes using the back of the hand. Repeat until no heat is felt from the fire. 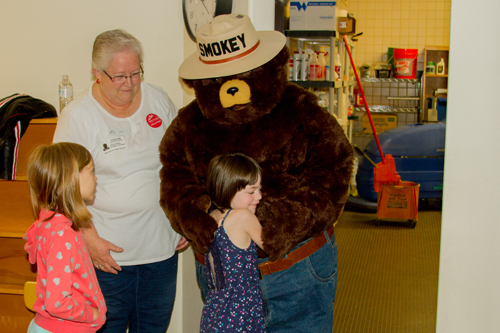 Dales told the origin story of Smokey the Bear, a baby bear who was found clinging to a tree following a massive forest fire started by a visitor to the park. Firefighters found the bear and took him to a local veterinarian office who treated the bear’s burns and other wounds. 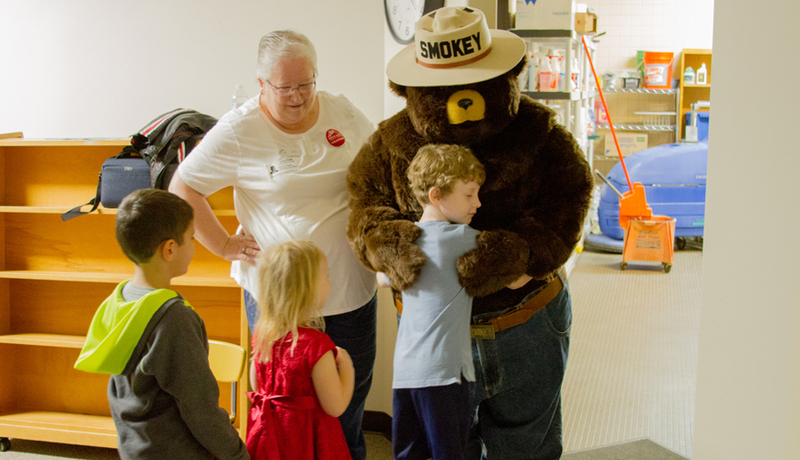 From that point on, the Forest Service used Smokey the Bear as a mascot to teach children and adults the importance of being aware of the causes of forest fire and how to prevent them.